(1) Valid Extradition treaties exist. (2) The alleged crimes (Embezzlement and Illegal Surveillance) are extraditable under the treaties. (3) Probable Cause exists for each extraditable charge. Martinelli does have a right of appeal to the District Court, and he also has a pending petition for asylum, but this ruling is a major step forward towards his eventual extradition to Panama. The case of a Ukrainian businessman who asserts that he paid one million dollars to Chris Willis, to acquire a diplomatic passport from Grenada, continues to unfold. As the result of the filing of a criminal complaint, an investigation into the matter has been opened by the United States Department of Justice. 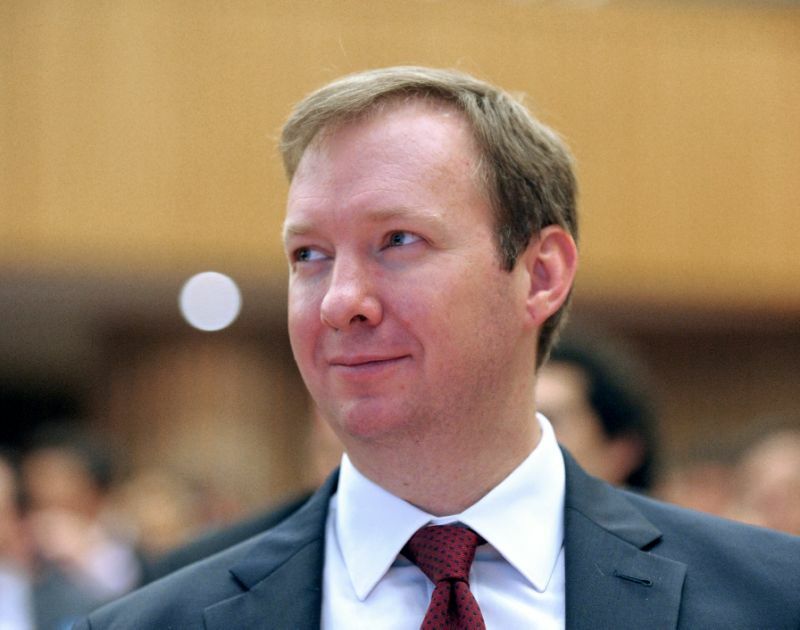 It may be noteworthy that the businessman has been in contact with another Ukrainian national who also sought to acquire a diplomatic passport, in the same exact manner, who also reportedly sent payment. Henley and Partners, who, at all times material to the case during 2016, employed Mr. Willis as its Managing Director for the Caribbean, has publicly stated that it has received a written communication from Wells Fargo Bank, stating that the bank's Singapore branch had, or has, no accounts of Henley, and that the screenshot published on this blog, in a prior article, was not genuine. Government sources, in contact with the bank, have reported that Wells Fargo says that it has made no such statements about whether there were any Henley accounts, or whether the screenshot was genuine. The Henley statement therefore has no basis in fact. Additionally, Henley's public statements, to the effect that the Government of Antigua had issued a statement to the effect that the blog's allegations were "totally false," is also untrue; The Government of Antigua made no such statement, and even after this fact was reported, Henley has failed to retract or correct its statement, nor responded to media queries about this specific topic. Notwithstanding the denials, made by the Government of Grenada, that it is engaged in the sale, to foreign nationals, of diplomatic passports, the reader is directed to our recent article, entitled UK Company says Fraudster forced it into Liquidation, and Hides behind Grenada Diplomatic Status. 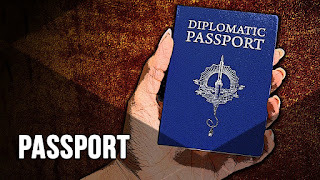 As more information regarding the diplomatic passport scandal comes to light, we shall update our readers. 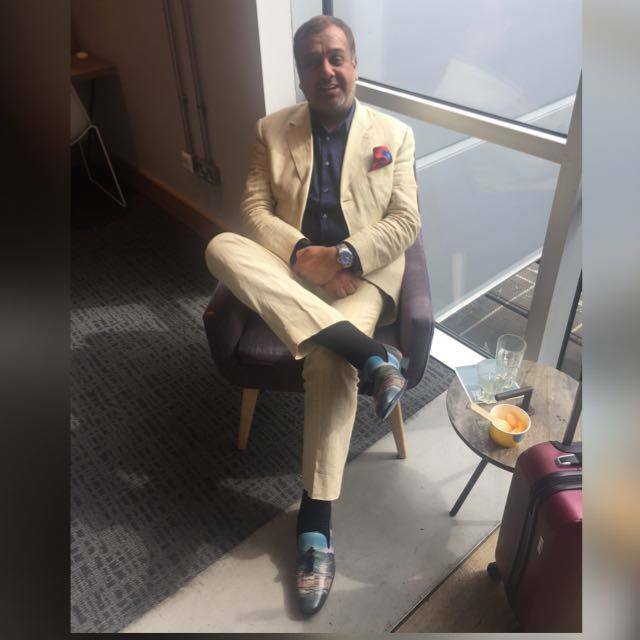 A business located in the United Kingdom was forced into liquidation, due to the criminal conduct of a career fraudster, PK Sandhu, who has relocated to Grenada, out of reach of UK law enforcement agencies, which are currently seeking him. The victim company stated that there are several other British firms who are also victims of Sandhu, who asserts that he cannot be extradited, due to the diplomatic immunity that he acquired in Grenada. Here is another diplomatic passport purchaser, but this one was able to complete his transaction. We wonder about the quality of the due diligence investigation, if any, that was performed upon this individual, due to his ongoing criminal activities. Sandhu claims that he is under the personal protection of the Prime Minister Keith Mitchell, and that they are "great friends." For those who doubt this statement, here is a photo, which Sandhu has on his Twitter account, confirming their personal relationship. The victim confirmed that Sandhu made and received several calls from PM Mitchell, while in the UK. He also communicated regularly with another member of the Government of Grenada, but until we can confirm the substance of his relationship with her, we shall refrain from disclosing her identity. Other photographs posted by the fraudster to the Internet indicate that he is some sort of a world traveler. Sandhu should be deported to face justice in the United Kingdom. 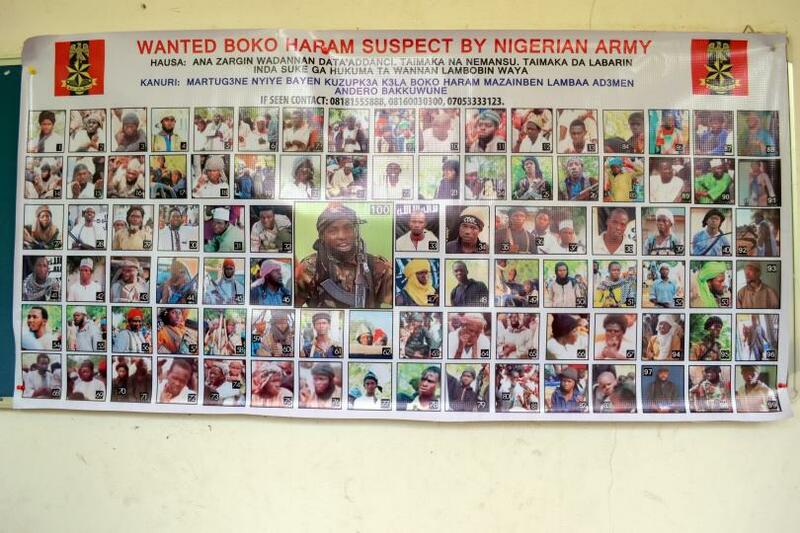 When the Government of Nigeria issued its first "Wanted" poster of Boko Haram terrorists it wants to locate and capture it claimed that the photographs were obtained from "newsreel" footage, and since many of the original photographs were of poor quality or did not adequately show their faces, that statement was credible. Later versions, however, contained detailed photographs of dozens of terrorists but the designated sources of that information continued to be referred to as news footage and captured media. 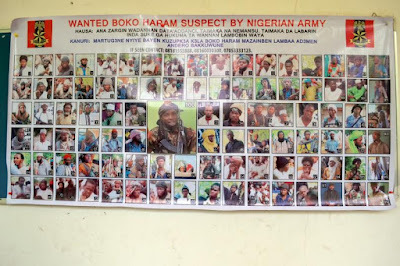 If you take a good look at the individual photographs appearing in the more recent posters, you see individual images that are much more suited to social media postings, rather than enlarged portions of grainy news report footage. 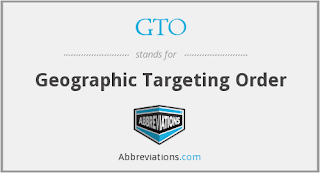 Many even look like social media portraits, or profiles, such as would be found on individual webpages. It seems that the Government of Nigeria has engaged in data mining of social media, with outstanding results. Considering that social media has now reached into every continent, and is in general use by all segments of society, including known terrorist groups, we suspect that many of the photographs reproduced in the Wanted posters were extracted from social media resources. While it is a given that terrorist organizations are media-savvy, the fact is social media can be a rich resource of relevant information about its activities, posted not only by their members, but family & friends, associates, and parties on the fringe of the organization, either through political alliances, business relationships, or other connections. This information, when properly accessed and retrieved, and which may not be available through any conventional methods, may be critical to a counter-terrorist investigation. WAS SHAKE-UP AT CBI CONSULTANCY DUE TO GRENADA DIPLOMATIC PASSPORT SCANDAL ? A Canadian national, Eric Guy Major, who resides in the Channel Islands (Jersey), is no longer showing up on the Henley & Partners organizational chart. He was a key player at H & P, reporting directly to Christian Kalin in Zurich, and CEO & Global Managing Partner of Henley & Partners Trust Group in the UK (Jersey). 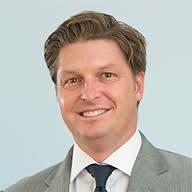 He had at one time been the Managing Director of HSBCs Global Investor Immigration Services. On October 15, 2015, Henley & Partners incorporate Newlands Global Citizenship Ltd. in the UK (company no. 09826108), of which Eric Major was a director. This company was associated with with NL Citizenship Ltd., which is owned and controlled by Dominica authorized CBI agent Sam Rafael, developer of the CBI Jungle Bay Resort and and a US & Dominican citizen. Was this a ploy to circumvent the agreement between the Government of Dominica and CS Global ? The corporation was dissolved, and folded into Hudson Troy UK Ltd., on April 4, 2017, which was yet another H & P vehicle, incorporated simultaneously with Newlands Global, and continuing under the same company ID number. Note that Eric Major resigned as a director, effective June 2, 2017. 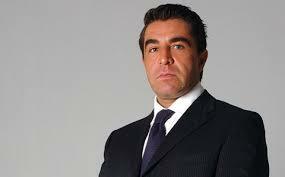 He also resigned as a director of Henley & Partners UK Immigration Ltd. (company no. 08794269) and Henley & Partners UK Ltd. (company no. 9822764) on August 9, 2017. Are all these interesting corporate developments connected to the Grenada scandal? We bring this up, especially since there has been no announcement of Eric Guy Major's departure from H & P.
Mehmet Atilla, the Halkbank Deputy CEO, accused of facilitating Iran's billion dollar oil-for-gold sanctions evasion scheme, now has a new attorney added to his defense team. Does this indicate a change in pre-trial strategy ? He is David Rosenfield, of the New York firm of Herrick Feinstein. Mr. Rosenfield is a former Federal prosecutor, who has subsequently had extensive experience in white collar defense. If Atilla has decided to take the case to trial, he would be a good choice for first chair. 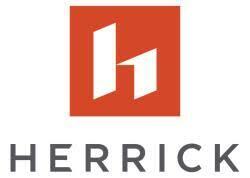 Herrick Feinstein is one of the few New York law firms that has an office in Turkey; it is located in Istanbul, in the Trump Tower. Whether this means that there are other issues Atilla is facing, more important than his own future, we cannot say, but the case may surprise all of us who expect Atilla to plead out, and cooperate, to save himself from a long sentence. Ponzi schemes continue to take their toll of even minor participants, even years after the head Ponzi has gone off to prison. 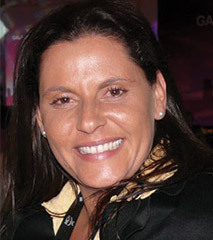 Case in point: Lorie Ann Williams, the wife of a major "fundraiser" for Miami Ponzi schemer Nevin Shapiro's* bogus grocery purchasing fraud, served a year & a day in Federal Prison. Her husband transferred funds to her account, after suits were filed against him. Mrs. Williams then made thirty five structured (exactly $9500 each) withdrawals from her account, totaling $332,500, and thereafter filed bankruptcy. After all these years, who doesn't know that any activity close to the $10,000 reporting threshold is bound to trigger a SAR ? 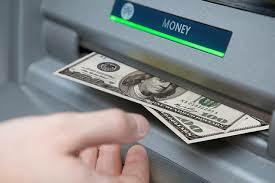 Her husband reportedly went with her to withdraw the money, and he was allegedly a financial advisor. Mrs. Williams stated that they needed the money to live on; over three hundred thousand dollars in as many months ? You have to love anyone involved in Ponzi scheme operations, they let absolute greed totally cloud their actions. * We have previously reported, in depth, on Mr. Shapiro's classic Ponzi scheme, which also corrupted the athletic program at the University of Miami, through illegal compensation paid by Shapiro. A new photo-sharing social network program known as Polygram has introduced a feature it claims will block any attempts to take screenshots, and even photographs, of images that the user has protected in a specific manner. Apparently this new feature is designed to keep privately-sent photographs from being reproduced, and seen by anyone other than the recipient. Referred to by Polygram as "wipe-to-reveal" the feature causes an artificial fog to cover protected images. The user uses his or her finger to clear a portion of the photograph at a time, making copying of the complete image impossible, as the fog quickly reappears, once your finger has moved on to uncover another section. As an additional protection information released by Polygram notes that any attempts to take a screenshot alerts the user, together with a picture of what was actually captured by a third party. (1) The feature mentioned above is limited to individual photos being transmitted, and cannot add privacy to the Friends photos, nor to the postings made by visitors. A user's main photo will remain accessible to investigators. (2) Investigators armed with the appropriate AI/algorithm social media search tools are looking for direct and indirect relationships, and it is the existence of those relationships, which are found through accessing all open-source social media webpages, not specific photos, which become solutions to their queries. (3) The existence of protected images, on a social media member's page, may itself operate as a red flag to criminal investigators conducting social media searches. 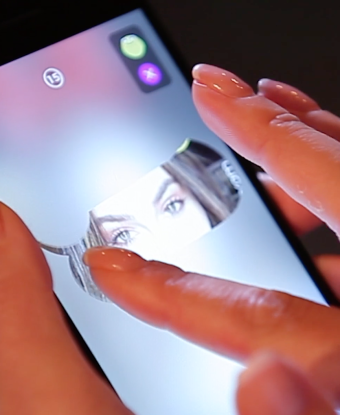 Of course, this does not rule out the development of technology to circumvent the wipe-to-real feature. In any event, it does not appear to be a threat to the ability of law enforcement to uncover relationships that will assist it in conducting a successful investigation, using social media research tools designed to reveal hidden relationships, to solve cases. ARE THERE OFAC VIOLATORS IN EAST CARIBBEAN CIP PROGRAMS ? Most readers who are familiar with the story of the incarcerated Iranian oil sanctions violator, Alireza Monfared, as well as that of his OFAC-sanctioned partner, the condemned Iranian, Babak Zanjani, an OFAC Specially Designated National (SDN). Whether they will both be executed is anyone's guess. 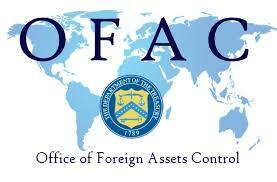 There are other OFAC issues in the countries who offer CBI programs in the East Caribbean, which you may be aware of. American law prohibits its citizens from any transactions with individuals, entities, or other organizations that have been sanctioned, either by OFAC, or by Presidential Executive Order. A fair number of West Indians are also citizens of the United States, and some are involved, in the nations of the East Caribbean, in CIP programs. Some dual American-Caribbean nationals are developers, actually involved in the sale of economic citizenship; others may be participating in CIP sales. Given the huge amount of Iranian, and Syrian nationals know to have approached CIP consultancy firms around the world, it is probable that a number of such nationals ultimately purchased those prized CIP passports. We wonder whether many American citizens, working in the CIP industry, directly or indirectly, have committed OFAC violations ? In a bizarre turn of events, the Citizenship by Investment consultancy whose former manager was charged, by a victim, with demanding a million dollar fee to obtain a diplomatic passport in 2016, has told the Government of Antigua to choose between it, and its primary competitor, accusing Antigua of unspecified misconduct due to its relationship with the competitor, who it is blaming as the sponsor of the articles exposing the diplomatic passport scandal. There is no factual basis for the Henley allegation, and it appears to be a ploy to distract attention from the seriousness of diplomatic passport scandal. Henley and Partners, whose former Caribbean manager was named by a European businessman with accepting $1,000,000 for a diplomatic passport, and then failing to deliver it, has alleged that the story, as reported on this blog, was "fake news," commissioned by Arton Capital, Henley's main competitor in the global CIP industry, and falsely reported on this blog. Henley sent a communication to the Government of Antigua, essentially demanding that it choose, ordering it to dismiss Arton as a licensee of CIP services, and that if its does not, to itself unilaterally withdraw from the Antigua CIP market, claiming that Antigua endorses or allows Arton's unspecified, alleged fraud. This action, on the part of Henley and Partners, can only be interpreted as an attempt to gain a commercial advantage against its primary competition, based upon a material misstatement of fact. This blogger has not had any consulting relationship with Arton, the alleged sponsor of the articles Henley objects to, since 2011, and has had absolutely no contact with the firm since then. I have not received any compensation from Arton, or anyone else, directly or indirectly, to write the article. To claim some sort of conspiracy, due to alleged "forensic triangularization" is pure lunacy. Furthermore, Antigua had absolutely nothing to do with the diplomatic passport allegations; its government advised, last year, that it had no file on the victim who Christopher Willis, the Henley Caribbean manager, claimed, together with Grenada, had connections which enabled him to obtain a diplomatic passport for the victim. After accepting the million, Willis failed to deliver the passport, and the victim was forced to plead with a cabinet level official in Grenada, to obtain a refund. It is noteworthy that the minster from Grenada did not deny that it had a role in the diplomatic passport, when contacted, but referred the matter to the country's CIP agency. 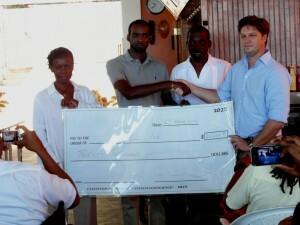 The refund was transmitted within a couple of days of the victim's complaint to Grenada. Henley denies that the entire matter even occurred. Grenada denies any role in the diplomatic passport transaction; over the years, there have been a number of cases involving criminals who purchased, under circumstances that implicated the country's Prime Minister, diplomatic passports, giving rise to a number of national scandals. A cable, from the United States State Department, published by Wikileaks, named several of the most egregious diplomatic passport cases. Who is telling the truth ? The emails, from 2016, including to and from two governments, confirm that the victim is telling the truth. Why is Henley pushing this "alternative" version of the facts ? We cannot say, but since new research has already uncovered other recent Grenada diplomatic passport cases, the story will continue; stay tuned. 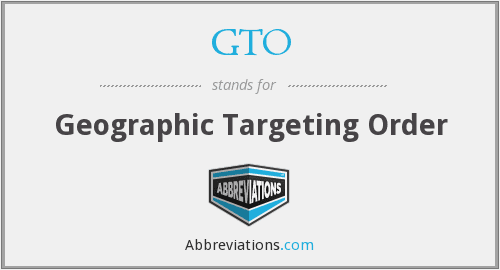 The recently extended FinCEN Geographic Targeting Order is another step in the right direction, BUT it fails to give the world's money launderers due credit for imagination and innovation, both of which attributes they have in great quantity. Allow me to explain. By limiting the focus on cash transactions, FinCEN pointed ignore the fact that an adept financial criminal can make a real estate transaction appear to be financed from afar, with all the relevant forms, bells & whistles. What appears to be a foreign lender, or NBFI, can be created, or one bought or controlled, to "finance" a purchase, wire funds in, with the appropriate closing package, and deceive even the most experienced title company, attorney or closing agent. 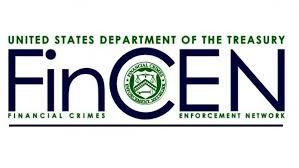 Therefore, we wonder if FinCEN might consider expanding the GTO to include ALL large real estate sales. Our law enforcement agencies might also want to examine large transactions, in Miami, New York City, and the other high-end metropolitan centers, to see if any were financed from abroad. It is known as the law of Unintended Consequences; an individual takes certain action, which he understands will result in a positive event, but it also carries with it an unforeseen, and very negative, side effect. The acquisition of an economic passport, which most proponents insist on classifying nicely as citizenship-by-investment, for the purposes of putting a positive spin on the purchase of a nationality, can increase individual risk, in ways that most CIP sales firms fail to detail, and can be dangerous. There's a reason why advertisements for medicines always includ caveats about undesirable possible side effects; they want educated consumers, not bruised clients who scurry to an attorney, and seek to file civil suits for damages, including punitive damages. do you wonder why CIP sales firms do not do the same ? It is because those disclosures would result in loss of sales. (1) Companies that hawk the benefits of citizenship by investment second passports rarely, if ever, warn applicants that holding such passports, even when they do not present them upon arrival at immigration & customs, might trigger secondary inspections, and even extended inquiries, in countries of the developing world, meaning North America & Europe. They might just know you have that St Kitts, Dominica, or Grenada passport, and wonder who you really might be, smuggler, terrorist financier, tax evader, or white collar criminal. You do not need that exposure. (2) When you obtain a passport from a country that has a dark past, no matter how long ago, of facilitating international money money laundering, tax evasion, or even terrorist financing, you run the risk of being targeted, not for who who are, but who else used those passports, or that specific jurisdiction, for illegal purposes. (3) Even though present CIP policies may involve adequate Due Diligence procedures on applicants, that was often not the case in the past. I have myself had personal experiences, in both St Kitts, as well as Dominica, regarding the witnessing of the ability of totally unsuitable applicants to obtain passports at will. Many countries, their banks, and more importantly, their law enforcement agencies, still distrust the Due Diligence of those CIP countries, and that can reflect upon new applicants, and law enforcement agencies have long memories. 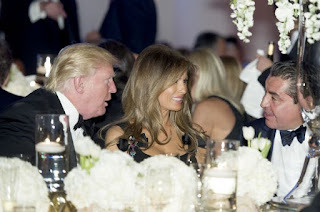 (4) The fact that several individuals, engaged in ongoing criminal activities, and possessing both diplomatic passports, as well as CIP passports from certain jurisdictions, have run afoul of the law in many countries, and subsequently be arrested, also increases the risk of guilt by association. (5) Sooner or later, your possession of one or more CIP passports will become known to the Western world's largest and best law enforcement agencies, as well as its intelligence services, which also raises your profile with them. Are you yourself suspected of being a foreign intelligence agent, or terrorist financier, solely because of the fact that your CIP passport is used by others, not as legitimate as you ? (6) International pressure on CIP jurisdictions can result in the abrupt cancellation of your passport and/or citizenship rights, requiring you to reapply, disclose additional information, or become publicly known as a passport holder. You aren't going to get a refund, and the local courts are generally going to rule against foreign plaintiffs. (7) Applicants from nations where either terrorist activities take place, or originate, particularly the Arab and Persian Middle East, receive additional scrutiny, when they attempt to use CIP passports to evade identification of their original nationality. Unless you are willing to assume these risks, prudence requires that you steer clear of these enticing CIP passports, even if you come from a nation whose passports often invite secondary screening, baggage search, and even body searches. You are falling from the legal frying pan, into the fire. US nationals may not purchase, directly or indirectly, debt obligations issues by the Government of Venezuela. 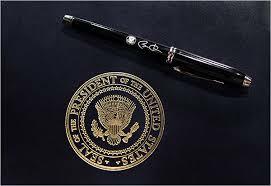 Readers who wish to view the complete text of the Executive Order, effective August 25, 2017, may access it here. 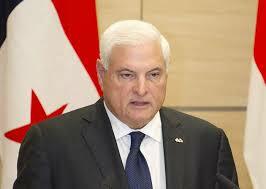 The Order is entitled Executive Order Imposing Additional Sanctions with Respect to the Situation in Venezuela. Readers who wish to review the revised Geographic Targeting Order on large cash real estate sales, issued by Treasury, may access the article containing a link to the complete text here. 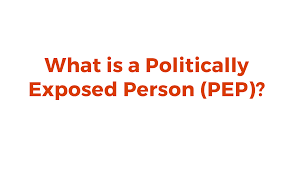 Politically Exposed Persons, more commonly referred to by compliance officers as PEPs, do not always fall into SPECIFIC categories. This presents a dilemma, for the failure to timely recognize that a high volume bank client is a PEP may result in the unwitting laundering of funds that are the proceeds of crime or of foreign corruption. Federal regulators may later impose a harsh penalty for what they regard as negligence, or even compliance malpractice. (1) Senior officials of foreign governments, and their families. (2) Military officers of field-grade rank or above, especially those involved in purchasing. (3) Leaders of charities, non-profit organizations, or government-owned companies, who will generally have access to the entity's funds. (4) Individuals who are closely linked to those in all the previous categories, through business, personal, or professional associations. 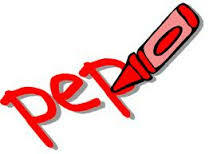 That being said there are many individuals who qualify as PEPs, but who are not readily identifiable as such, either because they do not fit in the traditional PEP categories, or they are intentionally concealing their PEP status, so that illicit wealth can be placed into the global financial structure, to begin its journey towards being scrubbed clean. (A) The "factory owner" from a country in the developing world. In truth and in fact, he is a colonel in his country's military, now well dressed in civilian clothes, and the manager of a government-owned facility that he is regularly stealing from. (B) The married daughter of a corrupt PEP, who lives with her husband in a city far from her extended family, and whose surname is not known, nor is she connected in any way to her father. Furniture shipped to her, via a dummy company, contains his bulk cash she is charged with laundering overseas, through her design firm. There are no direct connections. (C) A businessman who went to university, decades ago, with a general officer who has diverted millions of dollars from his army's weapons purchasing program, and has maintained a quiet, and extremely lucrative, friendship with him since then which is not known to the public. Conventional investigative procedures do not often identify (A),(B) and (C) as PEPs, but Artificial Intelligence cognitive learning algorithms exist that can search the entire social sphere using a proprietary platform, and will find indirect relationships, even those that may be several degrees removed from the point of origin. It will consistently uncover hidden relationships that traditional investigative techniques often fail to reach, and display them in graphic format, to facilitate swift observation of the results. Using this social media search tool, bank compliance officers can, with a high degree of certainty, learn whether any of their existing bank clients, as well as prospective customers, are Politically Exposed Persons. The ability of hidden PEPs to exploit the global financial system will be severely reduced, when they are exposed by a social media search system. The recent brouhaha over the reported attempt to purchase a diplomatic passport from Grenada, for an obscene amount of money, is but the latest in a series of missteps, committed by cabinet level officers in the Caribbean. Diplomatic passports, for sale, for cash, by greedy and corrupt senior government officials in a number of East Caribbean nations, is the world's worst-kept secret. According to a US State Department cable, published by Wikileaks, it is expected that there will be a certain amount of corruption in the region, but the wholesale vending of diplomatic passports, to individuals known to be from unsavory backgrounds, has increased in recent years. Finger pointing, by locals, at government officials in Dominica, as well as other adjacent jurisdictions, merely reminds us that this sordid practice has been ongoing for decades, including in Grenada, at the highest level. Unfortunately, the illicit sales of diplomatic passports, to foreign nationals engaged in dodgy, if not outright, criminal pursuits, increased when the East Caribbean countries initiated their Citizenship by Investment programs, beginning in St Kitts, in the very early 1980s. Unsuitable "applicants" seeking diplomatic passports routinely approach CBI program operators, as we saw in the recent Grenada scandal, which has spawned such bogus outrage, both from the Government of Grenada, and the CBI licensee, whose officer affirmed that his " close connections" to those programs insured that he could deliver that prized diplomatic passport. The fact that international law, to wit: the Vienna Convention, lays out specific duties and obligations of true diplomats, does not seem to both those senior officials who pocket millions of dollars in suspect cash, and pass them out like candy. Unless the United Nations, which is not known to enforce the law where its members are concerned, steps in, this practice will continue, and "diplomats" will use these documents to evade customs searches in third world countries, avoid arrest warrants, defraud legitimate businesses, and maintain their career criminal activities. Our article about the million dollar payment a European businessman made, to obtain a diplomatic passport, through a Caribbean country who would play-for-pay, appears to have resulted in scores of official-sounding Internet postings, all swearing that Grenada has no diplomatic passport program, and that the allegations of the victim are therefore not true. 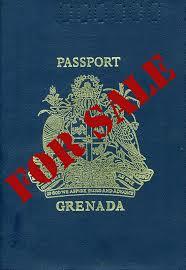 All the spin masters retained to discredit our story, whether paid by Grenada, or the massive Citizenship by Investment industry, are not going to stop the sordid truth about an illegal diplomatic passport sales scheme, neither approved by the statutes of Grenada, nor authorized under international law. The articles, which do not credit any specific spokesman , allege that the victim was told that Grenada did not have a diplomatic passport program. The trouble is, the emails, to and from the victim, and Grenada's then-Minister for Citizenship by Investment Promotions, Alexandra Otway-Noel, who was the victim's only contact in Grenadian government, do not corroborate the spin doctors' version of the truth. When Ms. Otway responded to the victim's disclosure of no-passport, and no return of his million, she did NOT deny the existence of a diplomatic passport program. In truth and in fact, she referred the victim to the CIP program that she supervised. Does that sound like denial to you ? 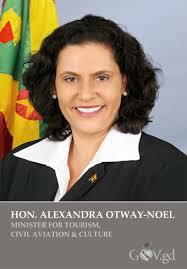 Why did the Honorable Ms. Otway-Noel respond to the victim's plea for assistance from the Grenada Government ? Perhaps it was her relationship to the country's CIP program, and therefore to Henley and Partners. Ms. Otway-Noel was a prominent speaker at a Henley and Partners event attended by several attendees who confirmed her appearance, and she is still a listed speaker on the H & P website, complete with her biography. Until her abrupt resignation in 2017, under a cloud, for alleged international travel, Ms. Otway, who also held the portfolios of Minister of Tourism, and Minister of Implementation, was an integral part of Grenada's CIP program. We will be publishing those emails in full, with only the victim's name redacted, for his protection. We shall continue to detail all the players in Grenada's under-the-table diplomatic passport program, what their roles are, and how it remains well hidden from public view. 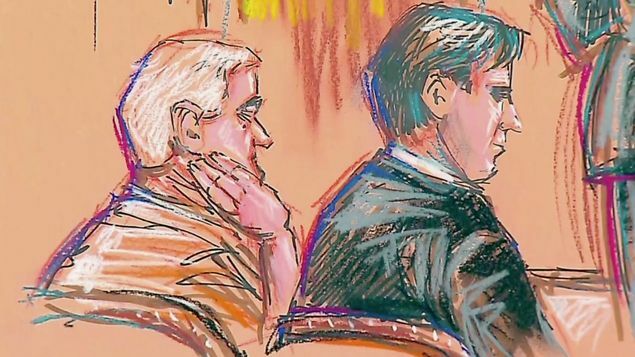 US Magistrate Judge Edwin Torres today heard final arguments in the extradition case against former Panamanian President Ricardo Martinelli. Due to a defense request to translate an affidavit from Spanish, the Court will be rendering its decision on August 31st. 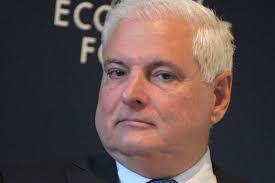 (1) The Government of Panama has no evidence of embezzlement. (2) The Extradition Treaty between the parties is inadequate regarding the illegal surveillance charge, as that crime was not an extraditable offense when it was allegedly committed. The treaty cannot be applied retroactively. The story about the ordeal of a European businessman, who was told he would be provided with a diplomatic passport, for the small sum of one million dollars. and then never having received it, had to go to senior officials in Grenada to obtain a refund, has elicited comments on all sides. To respond to those who have inquired about whether there actually is evidence to support the facts, be advised that I have reviewed the emails, from and to governmental officials, at the highest level, in two Caribbean countries, documenting the sordid tale. I also received them from an additional, and official, source, thereby insuring their authenticity. Publishing those letters would expose not only the victim, by naming him, but also identify the original sources of the information, West Indians who were so outraged when they originally saw the evidence, that they shared it with this blog. I have no interest in exposing either of those informants, so that darker forces, who profit from illegal diplomatic passport schemes, or their highly-paid legal advisers, can attack or persecute them, but be assured: there is a factual basis for the story. The United Nations, which adopted the Vienna Convention on Diplomatic Relations, needs to open an investigation on the member states that are selling these obscene, and completely illegal, diplomatic passports. American financial institutions, under increasing pressure from regulators to adopt risk-based compliance programs, have terminated many of their correspondent banking relationships with Caribbean banks. The region's banks have a low volume of international transactions, and its offshore financial centers are often confused with tax havens, and information on their customers is difficult to obtain. De-Risking is the term applied to the policy of ending such relationships for compliance and risk management reasons. 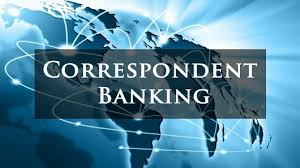 The result is a massive number of reductions in correspondent banking relationships by US banks, to the dismay of their former Caribbean respondents. Those banks, for whom a US banking relationship must be maintained, in order for their clients to trade in American markets and receive funds from family members who are expats, must now find a workable yet affordable solution. Social media, which was first utilized by American money service businesses as a means of accessing information on their unbanked* clients, provides a solution to the US banks seeking comprehensive information on the customers of their Caribbean banks, or Know Your Customers' Customers (KYCC). It can bridge the information gap that exists regarding those customers. Artificial Intelligence (AI) software algorithms that scan social media have the ability to extract personal data information which will satisfy the requirements of onshore banks for KYCC, such as occupation, employment, educational background, and the assessment of individual risk levels of the bank clients, through direct and indirect relationships, located by the algorithms. 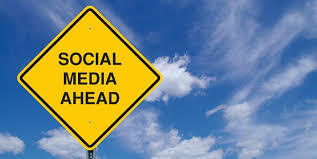 Social media software can resolve the de-risking problem of foreign banks. * Individuals who do not have a bank account. The individual who solicited and received $1,000,000 for a diplomatic passport, from a European businessman has been identified as the Managing Director of a company that sells passports through Citizenship by Investment, through a number of East Caribbean countries. 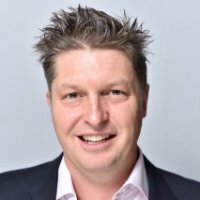 He is Christopher Willis, then the MD of Henley & Partners Caribbean Ltd., believed to be a wholly-owned subsidiary of Henley & Partners, located in Jersey, in the Channel Islands. Willis is currently listed as such on Internet websites, and has been quoted in the press, as recently as May, 2017, representing himself as such, though the company new claims he does not hold that position, but another one in another location. The victim, who was led to believe by Willis that he could obtain a diplomatic passport in Either Antigua or Grenada, due to the strength of his relationships there with government, was ordered to send via wire transfer the sum of one million dollars, to an account at Wells Fargo Bank in Singapore. He never received the passport, and initiated inquiries through government, at the highest level, after hearing, from another victim, similarly situated, who also made a very large payment, and did not receive a passport, on any kind or type, in return. Correspondence received by this blog showed that Antiguan authorities have never had any file on the victim, CBI or otherwise, and advised him accordingly, which he acknowledged. We confirmed this information through other channels; Antigua was not involved. He then moved on to Grenada with his inquiries. The victim's correspondence to Grenada resulted in an extensive exchange of emails, between him and the minister charged with CBI matters in that country. No mention appeared of any passport; it centered around the return of his fund, and how Grenada could assist him. Grenada did not deny that he was known to them, but offered to facilitate a complete refund. Several months later, the victim reported that he had recovered his money, but whether any part of it was received by senior government officials in Grenada has not been confirmed. Possible violations of the Foreign Corrupt Practices Act (payment was in US Dollars), FinCEN or TARP regulations, are under investigation. 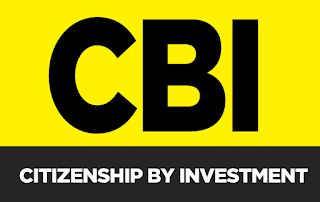 It is important to note that none of the five CBI programs being administered in the nations of the East Caribbean provide for the purchase of diplomatic passports, which do NOT confer citizenship, and which are strictly regulated by the Vienna Convention, in which all the CBI-issuing nations are members. Any distribution of a diplomatic passport to non-nationals, of any country, is a violation of the Convention, are are generally regarded as void, as a matter of international law. Several Caribbean countries have been rocked by diplomatic passport scandals, involving international financial criminals, notably Dominica. Finally, we should consider Wells Fargo Bank, whose acceptance of those funds flies in the face of generally-accepted compliance procedures, regarding both high-risk customers, as well as, high-risk jurisdictions. Wells Fargo is reportedly the correspondent bank for foreign financial institutions that bank a number of companies that sell CBI products. Its participation in the transaction which is the subject of this article call into question the effectiveness of its global compliance program, including but not limited to, Know Your Customer (KYC), and Know Your Customer's Customer (KYCC) regulations, as well as Banking Best Practices. Panama's Anti-Corruption Prosecutor has ordered that Frank Georges de Lima Gercich, who was Minister for the Economy and Finance under President Ricardo Martinelli, be held in preventive detention indefinitely. It is believed that de Lima intended to leave the country, to evade the criminal charges pending against him since 2015. The former minister allegedly participated in the diversion of funds involving the National Assistance Program (PAN); His attorney has publicly denied his involvement. A number of former members of the Martinelli Cabinet, and other senior officials and businessmen implicated in several corruption matters, have engaged in flight to avoid prosecution; others have simply disappeared, and their current whereabouts are unknown to the authorities. 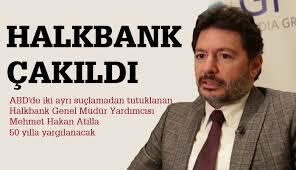 Counsel for Mehmet Atilla, the Turkish bank deputy CEO charged with facilitating the multi-billion dollar international oil sanctions syndicate lead by Reza Zarrab, Babak Zanjani & Alireza Monfared, filed their Reply Brief today. The brief, in support of Atilla's pending Motions to Dismiss, Motion to Sever, and Motion to Examine Grand Jury Minutes, basically did not cover any new issues, and served to do little more than quote from the original brief. The defendant's motions do not appear to have a strong chance of success. A sealed document was filed with the Court, which could indicate a possible change of plea from one of the defendants, or a sealed indictment of a new defendant, but it could also merely be classified evidence being deposited. Should there be any significant developments in this case, we shall promptly post them to this blog, as we are monitoring the court file. WHAT IS THIS CELEBRITY-OBSESSED PSEUDO-DIPLOMAT FROM DOMINICA, FRIEND OF DONALD TRUMP, DOING AT THE UNITED NATIONS ? By far the strangest story to emerge from the Caribbean's "play for-pay" diplomatic passport sales programs, where foreign nationals acquire a diplomatic passport, is the tale of an Italian businessman from New York, Paolo Zampoli. According to reliance sources in the Commonwealth of Dominica, in 2011 Zampoli approached Vince Henderson, the UN Ambassador, and offered to pay $250,000, in cash, for a diplomatic appointment, and passport. At the same time, Zamboli also approached the UN Ambassador from Grenada, with a similar request, which was reportedly declined, but reports show his subsequent appointment, ion August, 2012, as Grenada's Minister of Tourism, and his wife, Amanda also appointed to a diplomatic post in Grenada. 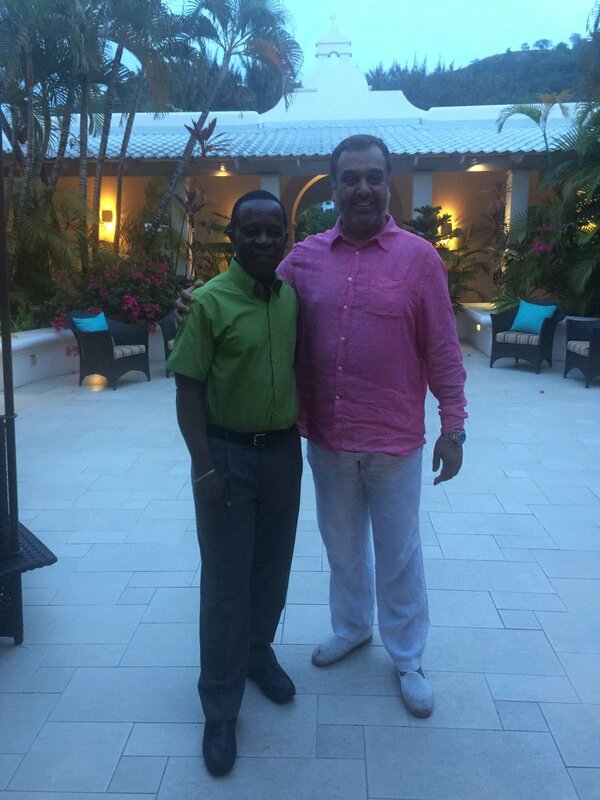 Over the reported objections of his advisors, Dominica PM Roosevelt Skerrit, who traveled to New York in March 2011, met Zampoli, who introduced him at that time to his close friend, President Donald Trump. 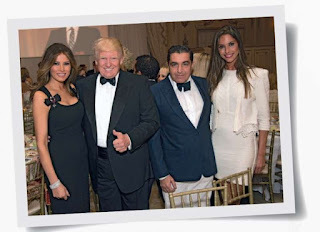 Zampoli, who had owned a New York modeling agency, claims that he made the initial introduction between Trump and his current wife, the First Lady, Milania. Zampoli has continued his close ties to the Trumps, appearing at the Mar-A-Lago resort with the Trump family, since his election. 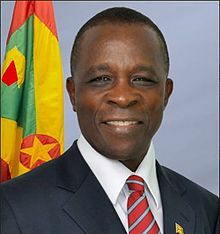 PM Skerrit appointed Zampoli to the diplomatic rank of Minister Counsellor for Dominica, and named him as Ambassador Henderson's deputy, in the UN Mission of Dominica, as of November, 2011. In October, 2013, Zampoli was additionally appointed Ambassador for Oceans and Seas, which appears to be basically a symbolic position, with little, if any, actual duties and responsibilities. Dominicans say that Zampoli has never visited the country he purportedly represents as a diplomat. Zampoli, since his ambassadorial appointment, has been a fixture at the United Nations; the Internet is full of photographs of him with some of the world's most influential diplomats and statesmen. What he actually does at the UN is another story, other than mix and mingle. Some observers believe his primary goal is to cultivate relationships with powerful international leaders, but on whose behalf is not known, as Dominica's role at the United Nations is small, though its current government is closely aligned with China, Venezuela and Cuba. His end game remains a mystery; Why is he trying to win friends and influence people ? What we are seeing is most likely a celebrity-obsessed businessman, who bought his way into the private halls of the United Nations, with a diplomatic passport from Dominica, which allowed him to participate in the deliberations of that august body. As long as individuals can purchase diplomatic status, through programs that violate the Vienna Convention on Diplomatic Relations, these abuses will continue. We do wonder, who got the $250,000 ? It certainly did not end up in the National Treasury of the Commonwealth of Dominica. In responding to complaints that their economic citizenship programs allow high-risk individuals to obtain passports from a low-risk jurisdictions, proponents often point to the quality of due diligence that outside companies conduct on the applicants, especially in the five countries of the East Caribbean known for their CIP programs. A Civil Penalty recently levied by the Office of Foreign Assets Control (OFAC) could be a sign that these firms, and their actions, may not be as effective as we believe. IPSA International Services Inc., a US-based "global business investigative and regulatory risk mitigation firm," has agreed to pay $259,200, to settle what OFAC describes as apparent violations of Iran sanctions regulations. The transactions cited totalled $290,784. IPSA, which conducted due diligence investigations for an unnamed country's (St Kitts?) Citizenship by Investment program, when faced with vetting Iranian nationals, engaged its Dubai subsidiary to perform the tasks. That subsidiary in turn hired local background investigation contractors, working inside Iran, to obtain the information, and forward it to the US parent company, which used it in its due diligence investigations. The Iran-based contractors were thereafter paid by the Dubai subsidiary. OFAC found that IPSAs compliance program was ineffective, with respect to the risks of the company doing business with Iran-origin background investigation services. If we cannot trust due diligence providers to obey US laws, how can we trust that they are delivering accurate and complete information to the operators of CBI programs ? The Civil Penalty also confirms that a large number of Iranian nationals are seeking to acquire citizenship, and passports, from low-risk countries located far from conflict zones. Since the Iran-based background investigators are in a jurisdiction where they cannot be disciplined, for negligence, or even intentional misinformation, how can we be sure that their data is truthful, current, and accurate ? Furthermore, the consensus of opinion among North American compliance officers is that Caribbean CBI country operators are often disregarding the accurate due diligence investigation reports they request, and approving dodgy applicants purely for corrupt monetary reasons, in Dominica and elsewhere, leading us to question the compliance comfort level of all East Caribbean CIP passports, from a risk-based perspective. The IPSA case should be a wake-up call to treat all passports from these jurisdictions, where the passport shows the holder was born in another country. with special attention. 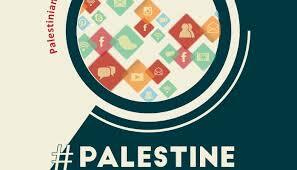 The Palestinian Authority has handed down a decree, reportedly weitten by PA leader Mahmoud Abbas, which implements what is described as a cyber crime law, but in reality targets social media postings that are critical of the local government.The penalties are indeed Draconian. The new law provides for a maximum penalty of fifteen years for posting any social media content deemed offensive by the PA. The punishment call for imprisonment at hard labor, with sentences ranging from three to fifteen years*. The grounds, which are definitely overly broad, are listed as "harming national unity or social harmony." This means that social media posters who come down hard on the PA on any grounds, could be summarily convicted, and imprisoned. * Palestinian journalists can be sentenced to as much as life in prison, for publishing articles the government considers objectionable, including those stories that expose corrupt officials. In the opaque world of diplomatic passport sales, it is definitely Caveat Emptor, let the buyer beware. Last year, a Ukrainian businessman*, who is linked to Dubai, and who wanted to buy a diplomatic passport from a cooperating Caribbean country, contacted Henley and Partners. A Henley officer named "Chris" represented that his firm was a duly licensed provider in several Caribbean jurisdictions, and showed him emails from Prime Ministers to prove the company's bona fides. Chris instructed the applicant to wire $1,000,000, as and for the fee, to the firm's account at Wells Fargo in Singapore. You may view the wire transfer document below. it confirms the amount and the identity of the recipient. When Henley and Partners failed to deliver diplomatic passports from either Antigua, or Grenada, and ignored the businessman's repeated call, he contacted Antiguan authorities, who denied there was any application pending. 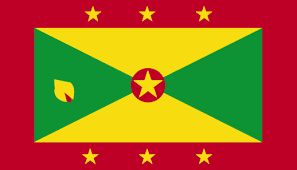 Grenada, through one of its ministers, arranged, after a lengthy delay, for a refund. What's wrong with this picture ? It appear that whatever constitutes the diplomatic passport program in Grenada is completely out of control. (1) Why didn't the applicant's fee go directly into an escrow, or trust account, of the Government of Grenada ? Does Grenada approve of this policy ? Does it control its licensees at all ? (2) Why is Henley and Partners holding a US Dollar account at a US Bank, in Singapore, for a Grenada Government client ? (3) How did a US bank, Wells Fargo NA, accept one million dollars, for deposit into the account of a company known to service purchases of diplomatic passports, in foreign countries, a high risk client ? (4) Did the Wells Fargo Bank compliance department perform due diligence on the sender, before accepting the wire transfer ? If not, why not ? (5) Did any of the money end up in the hands of the Government of Grenada, or any of its officials ? (6) Did Minister Alexandra Otway-Noel resign, because of the exploding diplomatic passport scandal in Grenada, and is Prime Minister Keith Mitchell the primary reason why she resigned ? Whoever is in command of Global Compliance at Wells Fargo Bank should be required explain to FinCEN why it is banking foreign companies that deal in the sordid world of economic and diplomatic passports, in countries considered high risk. 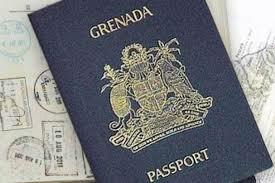 I will have more about Grenada's dysfunctional diplomatic passport program in the next article. * For the purposes of privacy, I have not named the applicant, but I will provide his name to any law enforcement agency that opens a criminal investigation into the matter. Let's assume the following: that I am one of thirty partners in a New York City law firm involved in representing Fortune 500 corporate clients in mergers and acquisitions. 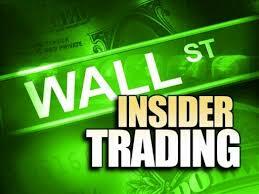 All of us are privy to confidential information that will affect the market prices of our clients' stocks. The SEC and FINRA have seen serious profits taken multiple times, all in advance of major events. If one of us supplying inside information to a conspirator, who is illegally trading and profiting from it,who are they, and who am I ? Criminal investigators seeking to determine if investors engaged in illegal insider trading of publicly traded securities often have difficulties linking individuals who possess non-public information, with confederates who have traded upon that information. Even armed with the identities of investors who made extraordinary profits based upon the subsequent release of positive business news, investigators often cannot uncover the necessary connections. The result is that many "Tippees" who have profited from their crimes are never charged. It was impossible to track them back to the source who divulged the inside information. Enter into the equation a research tool* that enables the investigator to diagram and inspect not only indirect relationships, but relationships separated by more than one degree. These are connections that are so remote that conventional inquiries will never link them up. This result is accomplished through the use of artificial intelligence software algorithms which scan available social media sources, a feat that would literally take years to accomplish manually. Therefore, returning to our initial fact pattern, user generated graphs and charts now created by those ai/deep learning algorithms, uncover and display two of my personal indirect connections, which appeared totally disconnected to effectively deny investigators access to conspirators. Using this software program myself, the culprits were identified as a former co-worker from my first job as an assistant district attorney, and that conspirator's onetime university roommate, from twenty years ago.These individuals who would most likely never be found through conventional means, would be identified, and linked to me, due solely to an asset that represents the application of technology to big data social media information. * Note to readers: if you are not familiar with this social media resource, kindly email me privately at miamicompliance@gmail.com and I will furnish that information to you. IS GOOGLE NEWS NOW TOOTHLESS FOR COMPLIANCE RESEARCHERS ? Google News, which has recently undergone a major facelift, has cut back on so many of its valuable features that I deem it unsuitable for anyone looking for negative news in a due diligence investigation. It now reportedly limits, to 30 days, any articles it returns for a search query. Many researchers valued the Google news feature that went back several years, but regretfully that is now totally in the past. In its current form, Google News (1) limits the number of returns you receive from a search query, (2) has zero hyperlinks, a departure from its prior format, and (3) appears to value quality over quantity, meaning that you won't see the results that do not have high confidence. Now, when you perform a search, you often get no results at all; this is not acceptable to me. Do any of your existing data services include CheckForRisk, by Nomino Data ? That's the only resource for negative news that I recommend you use (no, I am not affiliated with them in any way) , if you want total coverage; Check it out. 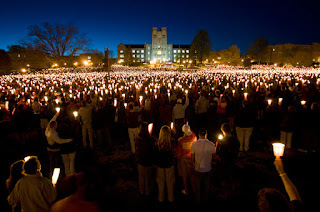 Yesterday's peaceful candlelight vigil, held at the University of Virginia and attended by U Va students and members of the local community, was a clear demonstration of the power of social media. 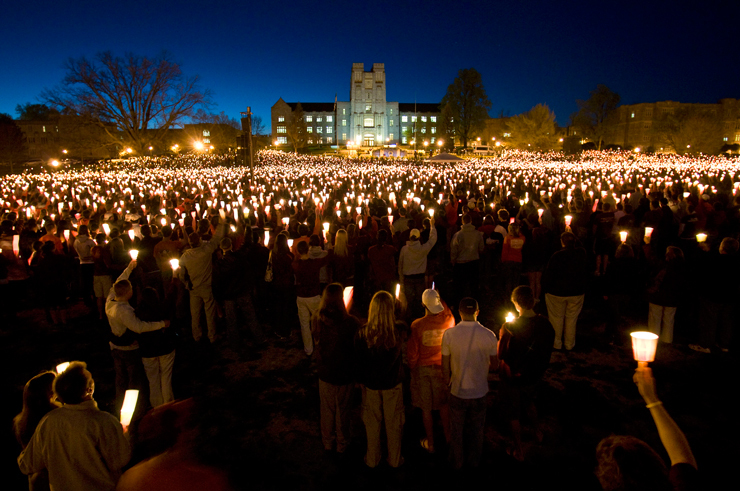 Organizers instructed the students and local residents who intended to invite friends to the vigil to use telephone and text only to pass the word along, and to completely avoid any and all social media resources when contacting others to attend. The reason for this unusual request: should the white supremacists have learned of the event, via their known monitoring of social media, they could have attended, and there were well-founded fears that additional violence might occur. This was a valid concern of organizers, and it substantiates the influence that social media, due to its virtually universal adoption, has over society. Those who ignore it do so at their own peril. Social media, together with negative news searches, and cloud-based information searches, has become a mandatory component of any effective query, whether it be for anti-money laundering compliance purposes, due diligence checks, or any other business or law enforcement purpose. It provides data that cannot be accessed through any other method, and is fast becoming one of the most important search tools. 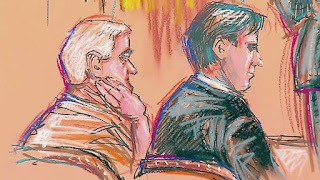 The Federal Judge assigned to Ricardo Martinelli's extradition has reversed himself, and vacated his prior order that transferred him from the downtown FDC facility, which primarily houses pre-trial inmates, to the Miami FCI, where convicted inmates serve out their sentences. The US Attorney objected to the transfer order, and asked that it be set aside. The key filing, however was the final filing by Martinelli's attorneys, where they state that, if he will not be allowed to mix and mingle with the general prison population, they prefer that he stay at the FDC. It looks now like he just wanted to socialize with others. The Government did make the point that he would have better visiting accommodations with his attorneys at FDC, so his transfer request appeared to be a ploy. While we are familiar with the widespread use of social media as an intelligence source for law enforcement investigators seeking information on criminal gang membership, the most powerful gangsters in Texas' Rio Grande Valley are reportedly using it extensively for recruitment purposes.These organizations are actively trolling for new members. Law enforcement has identified them as the Latin Kings, Texas Mexican Mafia, Tango Blast & associated cliques, and MS-13. Local Sheriff's Departments and the Texas Department of Public Safety (DPS) have been publicly warning parents to closely monitor not just their childrens' friends and their outside activities, but also to examine their social media walls. They are advising them to look on Facebook pages for gang signs & colors, and tattoos appearing on any photographs posted, whether in their friends' sites, or any other indications that there is gang influence intruding into the user's Facebook page or other social media. 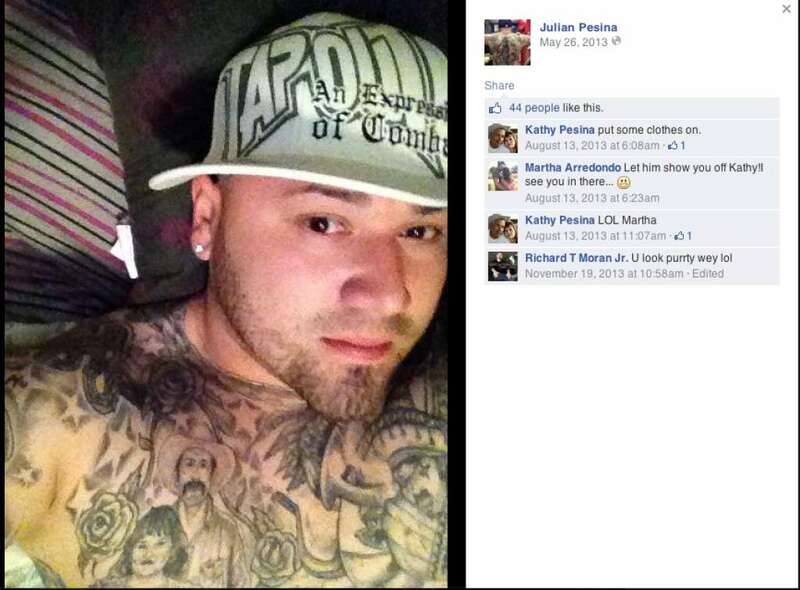 DPS warns that gang members now advertise and glamorize their lifestyles, through their postings, and seek to attract new members to the so-called benefits. 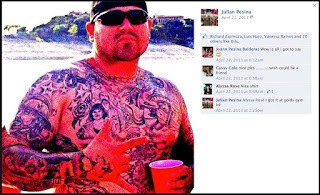 Many law enforcement agencies now routinely troll through social media sites of known gang members, especially those of suspected leaders, to identify all possible direct and apprentice members and associates. In-depth analysis of gang members' social media sites can reveal indirect relationships that cannot be gleaned from routine and one-dimensional searches and that information thus obtained can then be directed towards still more data, which is either relevant or will lead to relevant information. It is possible to compile a complete order of battle of a criminal organization, using the appropriate effective social media search tools. Such details are rarely found using traditional investigative techniques and methods, but they can be accessed through the appropriate social media search device. 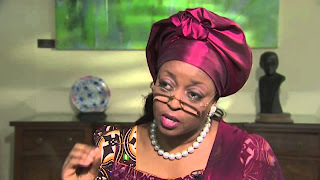 Diezani Allison-Madueke, facing corruption, money laundering, and forfeiture charges in several countries, has arrogantly denied she stole any of the missing $90bn, including a $153.3m forfeiture to Nigeria. She further denied that she has been served with the order, or evidence supporting it. Property allegedly purchased in the United States is subject to a major Federal forfeiture action in the State of Texas. Madeuke, while known to have been engaged in the theft of massive amounts of petroleum funds that were the property of the people of Nigeria, amazingly received a diplomatic passport from Dominica's Prime Minister, Roosevelt Skerrit, by hand delivery in the United Kingdom. 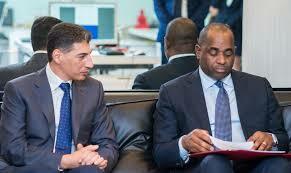 She is not a citizen or national of Dominica, and tendered an illegal cash payment to Skerrit. The matter was arranged through Dominica's Baroness Patricia Scotland, who knew or should have known, as the Secretary-General of the Commonwealth, that Madueke was totally unacceptable to receive diplomatic rank, for any purpose. Questions about the legitimacy of the transfer of the diplomatic passport to Madueke raise questions about Scotland's fitness to be Secretary-General. Readers who use the Basel AML Index, to estimate Country Risk, are advised that the 2017 Report has been published. You may access it here.